Love is probably the most complicated emotion we experience as human beings. It’s quite hard to describe what it feels like to love someone, and it’s also quite difficult to describe the pain that comes with losing a relationship that you cherished. When a person’s heart is broken, there are usually two ways that people feel. You either dwell on the past and nostalgia, or you want to fast forward to the time when the pain has passed. At the end of this article I am going to include a section on how to get your ex back if that’s what you’ve opted to do! In love, anything is possible as long as you are motivated, patient, willing to put forth the effort, and can exercise self control. I know that things might be feeling confusing right now, but by the end of this article you’ll have a better idea of what you can do to start feeling better and more in control of the situation as soon as possible! Why am I still in live with my ex?! It can be a frustrating feeling when you feel like you’re stuck in a situation that makes you unhappy. You and this person have broken up and you don’t want to feel heartbroken anymore. Why does this feeling last so long? Why does it feel like you can’t make your heart just stop fixating on this person? Well, just because a breakup happens, it doesn’t mean that feelings just go away. They don’t just disappear over night. There will be all the positive memories and more importantly, the hopes you had for the future. That is actually what causes the most amount of the pain when a breakup happens. It’s true that the memories you have of the good times will hurt, but when you’re with someone, you start to develop an idea of what your future will look like. When you really love them, you envision the two of you together and you begin working towards that goal. When the breakup happens, you lose that and that’s what hurts. It’s quite hard to let go of those hopes, and the love you feel for this person is intricately entwined within them. You shouldn’t be too hard on yourself for feeling like you’re still in love with your ex, even if you’re trying to move on. These things take time, and there are plenty of things to speed up the healing process. But before we get into that, I want to take a moment to help you decipher whether you’re actually still in love with your ex or if you just think you are…. Am I still in love with my ex or is it just in my head? After you’ve been in a relationship with someone for a while, you develop a certain routine and spending lots of time with them starts to feel very natural. When the relationship ends, we are often left with a sort of emotional void. Your ex was your comfort zone, and now you’ve been forced to step out of that comfort zone. 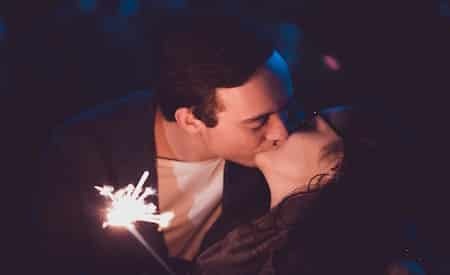 For some people, they had developed a sort of addiction to their ex’s presence and now that they’re newly single, they feel a surge of nostalgia and they miss their ex. For some people however, it isn’t actually their ex that they miss – it’s the comfort of having a partner. So, is that the case for you? If you’re thinking, “I’m not sure if I am still in love with my ex,” ask yourself this: do you want them to be happy? Or do you feel like you’d prefer their new relationship to end? Do you feel like you want to have some kind of revenge on him or her? Also, pay attention to what you do once the initial period of sadness begins to subside. And yes, it will happen! After a breakup, you will start to bounce back and become a better version of yourself, which incidentally is what I tell anyone who wants to get back together with an ex: You have to become a new and improved version of yourself if you want your ex to want you back. Now, what I’m about to say is very important. The improvements you make should be solely for yourself. If you start to think that you’re only becoming a better version of yourself after the breakup to make your ex realize how great you are, you might be experiencing emotional dependency instead of love. Another thing to keep in mind is how it makes you feel when you see a picture posted of them on social media, vs how you feel when you see them in real life. If you get a bigger reaction from the photo you see, it could mean that you’re more in love with the idea of them than the actual person. Also, if you’re wondering, “Do I still love my ex,” keep an eye out for the role that pride plays in all of this. I know that right now you want nothing more than to see your ex’s name pop up on your lock screen. You are craving messages from him or her, or perhaps even a phone call. But are you willing to make the first move and reach out to them? Sometimes people just want their ex to come back so that they can feel better about themselves. If you are dying to hear from your ex, but you aren’t willing to go out of your way to talk to them, you probably aren’t fully in love. Does The Push Pull Technique Really Work On An Ex ? I’m still in love with my ex: What should I do? If you know deep down that you’re very much in love with your ex, and that they are your soulmate, then you’re going to have to take action… but not in the way that you might think. The majority of the people I work with think that if they want their ex back, that they should share their feelings with them right away. The opposite is actually true. If you want your ex back, you’ve got to put some space between you. You’ve got to make your ex think that they’re losing you, because your ex is going to want you back the moment they fear losing you for good. 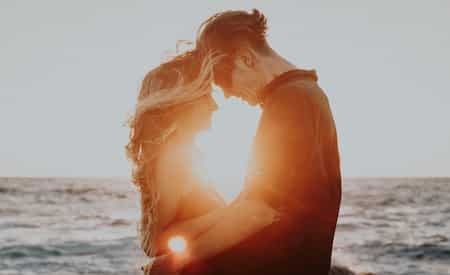 Even though you’re thinking, “I still love my ex boyfriend or girlfriend,” instead of telling them all about how much you still want to be with them, you’re going to have to take a different approach and begin to inspire them to want to be your partner again. To do this, there are a few powerful techniques available to you and if you aren’t familiar with them, I highly recommend you click the links to read the articles. The No Contact Rule is used to giving your ex an electroshock and making him or her realize that you are no longer at their beck and call. Once that period has passed, you can think about getting back in touch with your ex with another technique like the handwritten letter. This is a wonderful tool because it allows you to organize your thoughts, present the long term solutions you’ve come up with, and approach your ex in an indirect and therefore gentle way. For more information on how to write the perfect handwritten letter to your ex, I recommend you click the link. When you’re wondering, “Why am I still in love with my ex,” it’s important to take some time to explore your emotions and figure out what you truly want. Whether you want to move on from the relationship or get back together with your ex, the first step will consist of working on some personal development. For one on one help in getting back together with your ex, I invite you to get in touch with a member of my team or with me directly by clicking here, or by leaving your question in the comments section below. It would be our pleasure to personally respond to you.